Here we are, at another weekend closer to Christmas! Of course, it seems lately like every other day is Christmas, what with the recent hauls I’ve been having! To kick things off, I’m pleased to say that Lagoon has arrived! This game does look very beautiful, I have to say, though I’ve not managed to have a game with it yet. Hopefully soon, though! 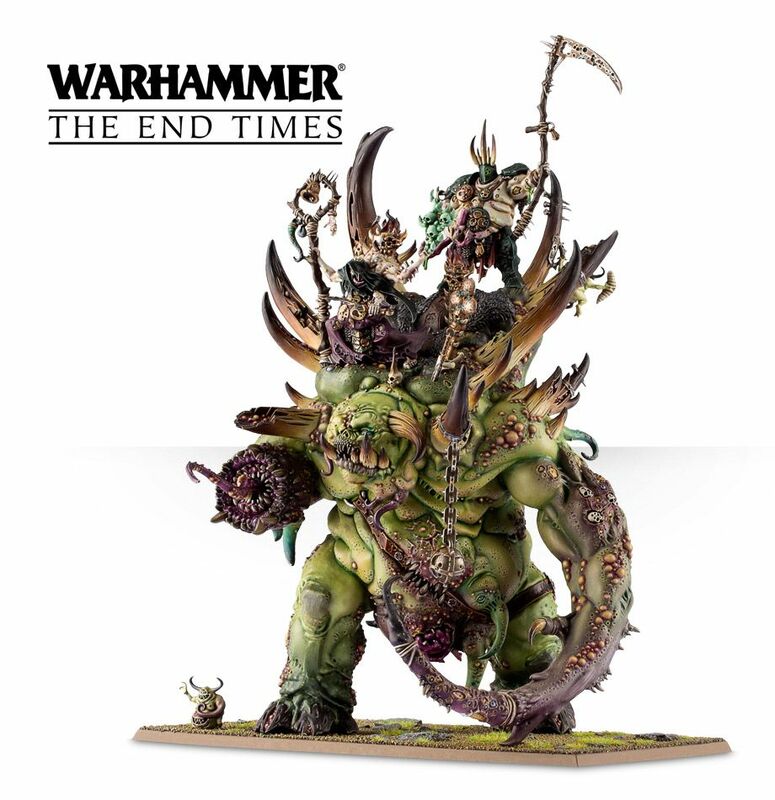 I’m not a big fan of Nurgle, as I feel vaguely ill looking at some of these new models. Which I suppose is a good thing, as they’re meant to, but still… While I’m not a fan of the miniatures (if you can call something like the new Glottkin a “miniature”), I was keen to get hold of the new book for the history of the apocalypse. It looks fantastic, too! I feel quite lucky to have managed to get a copy, however, as it sold out in pre-order within something like two hours, which I find pretty hilarious, if I’m honest. Games Workshop continue to baffle all in their sales strategies, it seems. I went to Shrewsbury this morning, where the GW store didn’t even have an allocation of the books, though they were stocking the model. So you could buy the model, but you won’t have the rules to use it in your games. Hm. From what I understand, this has been repeated across the world, pretty much. In this respect, I feel a bit awkward about having one when I don’t intend to use the miniature, but then I have nothing to do with retail merchandising for them, so I absolve myself. 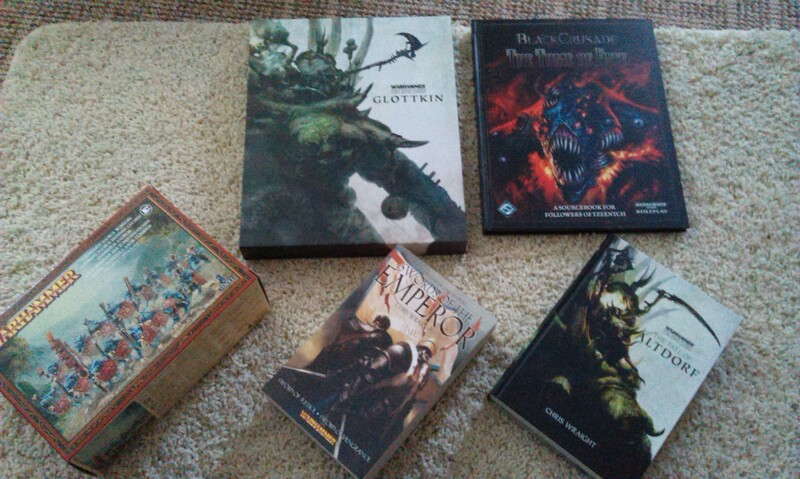 I did pick up the new End Times novel from the store, however, The Fall of Altdorf, along with a box of Lizardmen. Shrewsbury, however, is one of my absolute favourite places in the country. I used to go there a few times a year as a child, but it was 2012 when I renewed my acquaintance with the town, and it has swiftly become one of my all-time favourites. The sense of history that you get when there is palpable, and it’s one of those places that I’m utterly content to just wander the streets with no particular destination. Basically, I love history, and I love Shropshire! In doing the research for this mini series of blogs (which isn’t technically finished yet! ), I discovered so much about a truly fascinating area that is basically on my doorstep. If you can, I highly recommend making a trip! I suppose this is the downside of being a geek: when you like something with an all-consuming passion, you tend to have energy only for a small number of things. It’s also one of the ironies, I find, of doing a degree in history: because I must look into certain things, I find myself disinterested until I no longer have to follow that syllabus. As a case in point, I was forever behind on the last module of my degree, as I would always want to look further into a part that we had just finished, and now that I’m doing the Classics side of things, I’ve been finding myself looking instead back to the middle ages. Not that I’m not enjoying the degree, of course! First world problems, and such. The new models from GW look amazing, really love the new Tyranid Toxicrene and Maleceptor models. You’re not wrong there! It’s models like this that really make me want to collect Tyranids, actually. Thanks for the comment, anyway, you’ve got a really cool blog so I couldn’t resist a follow! Previous Previous post: Cthulhu fhtagn!